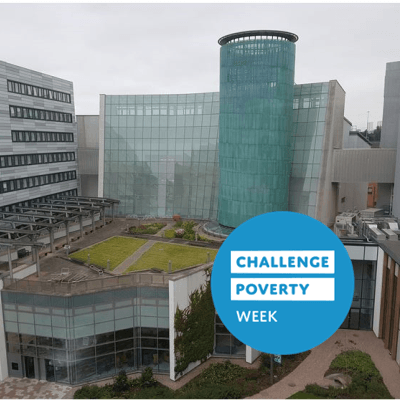 October is Health Literacy Month and this week is Challenge Poverty Week – GCU Library will be blogging and tweeting our support throughout. Links between poverty and health are well documented. The Shanghai Declaration on Health Promotion recognised health literacy as a ‘critical determinant of health’ and the World Health Organisation puts improved health literacy at the heart of at least 7 of the UN’s sustainable development goals, including no.1 – no poverty. My name is Kirsten and I’m one the Academic Librarians at GCU. Recently I was asked to join a group that is looking at Health Literacy policy, strategy, research and practice in Scotland from a multi-agency perspective. Also on the group are representatives from the Scottish Government library, NHS Education, Clyde Gateway, Scottish Qualifications Authority, public library services, the Chartered Institute of Library and Information Professionals as well as a number of individuals with experience in education, learning and literacy. So far our group has been very encouraged by the range of disciplines from which health literacy is being researched as well as the gathering momentum around practical interventions and initiatives that support the Scottish Government’s Health Literacy Action Plan. Today the Deputy Chief Medical Officer and the Director of the Scottish Library and Information Council are launching a new strategic partnership between Libraries, Health and Social Care and The Poverty Alliance to better enable public health reform in Scotland. We know work is happening across the country to foster multi-sector collaboration on addressing poverty, health and health literacy. 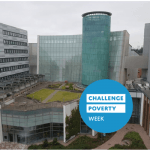 By supporting Challenge Poverty Week and Health Literacy Month I hope that GCU Library can help stimulate more conversation and exchange of experience and ideas around health literacy. To that end we’ll be tagging in GCU health departments, staff, researchers and external agencies to get the chat going. Our first week of tweeting will focus on introducing health literacy, the second on policy and research, the third on Scotland / local initiatives and the fourth will encourage anyone and everyone to contribute their own experiences of giving, receiving or working with patient information. It would be great to hear all of your views in this public health conversation. This entry was posted in Ask & Learn, Events and tagged health literacy, public health. Bookmark the permalink.